I love the vicious influence…. OMG!!?? I get my own dedication? 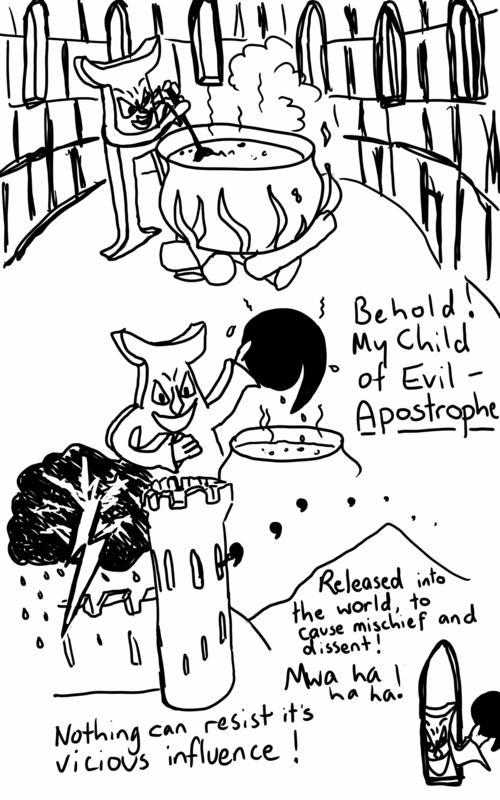 Unfortunately, the evils’ of apostrophe misuse plague me even now, ages after my formal schooling. You might enjoy this though – http://theoatmeal.com/comics/apostrophe. P.S. Extra vicious and inappropriate apostrophe intended. ;-) or should that be ;-)' ? ha! just noticed the apostrophe in the “it’s”…. ironic, ain’t i’t?